NBC 5 and EarthX invite you to experience the Spotlight Screening selection for the EarthxFilm Festival, featuring Ben Masters’ The River and the Wall on Thursday, April 25 at the Perot Museum of Nature and Science during a “Green Carpet” gala presentation. 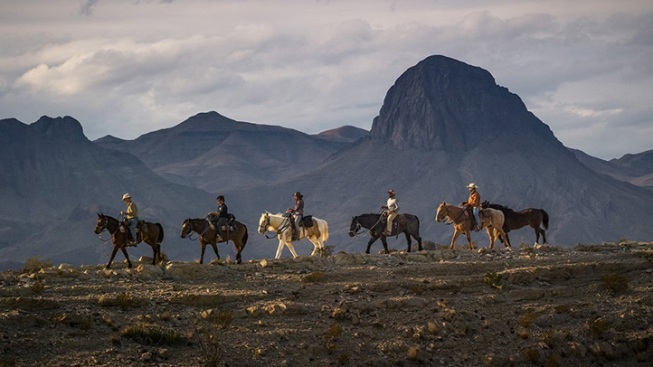 Opening night of the EarthxFilm Festival, the Ben Masters film, The River and the Wall follows five friends on an immersive adventure through the unknown wilds of the Texas borderlands as they travel 1,200 miles from El Paso to the Gulf of Mexico on horses, mountain bikes and canoes. Inspired by the threat of new border wall construction looms ahead, and what he saw as the urgency of documenting the last remaining wilderness in Texas, Masters recruited NatGeo Explorer Filipe DeAndrade, ornithologist Heather Mackey, river guide Austin Alvarado and conservationist Jay Kelberg to join him on two-and-a-half-month journey down 1,200 miles of the U.S.-Mexico border. For tickets or more information, visit www.earthxfilm.org. EarthX, a Texas-based 501c3 nonprofit organization, strives to be the leading global connector to positively impact our world for a sustainable future. EarthX hosts the largest environmental expo, conference and film festival in the world in Dallas. Founded in 2011 by environmentalist and businessman Trammell S. Crow, EarthX promotes environmental awareness by curating an atmosphere for conscious business, nonpartisan collaboration and community-driven sustainable solutions. Attendees can also enjoy outdoor experiences, live music, environmentally-themed films and art exhibits, food pavilions, family activities and more. In 2018, the event drew 137,000 attendees, 800 exhibitors and more than 250 speakers. For more information, visit www.EarthX.org.